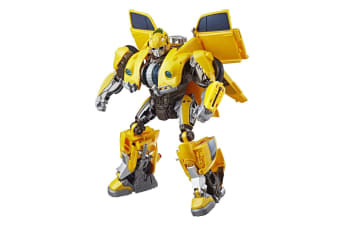 Within each Transformers robot rests a powerful core made of Energon. 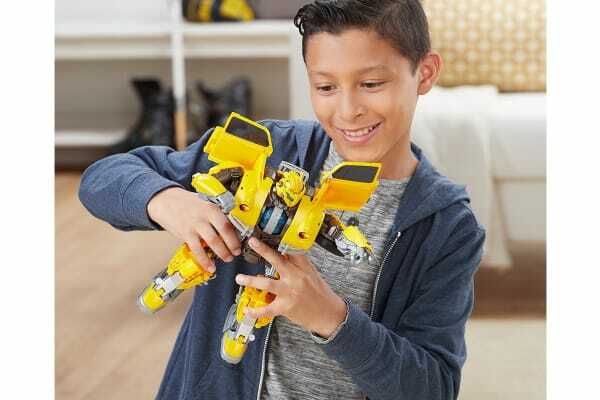 The Transformers: Bumblebee Power Charge Bumblebee allows kids to imagine charging up that core and launching into battle! 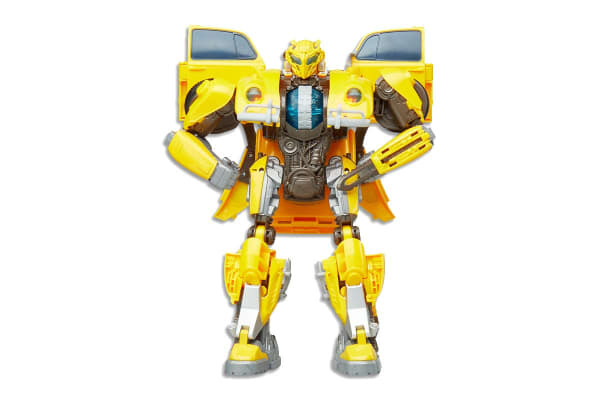 With menacing battle gear, Transformers:Bumblebee Power Charge Bumblebee is ready for an epic battle against the Decepticons. Give Bumblebee a boost in his robot mode by spinning the core in his chest to amp up lights and phrases. Then convert to the classic yellow Volkswagen Beetle and rev the car to hear awesome sound effects. Activate the ultimate battle mode by lowering the figure’s battle mask and then reveal the Stinger Sword!